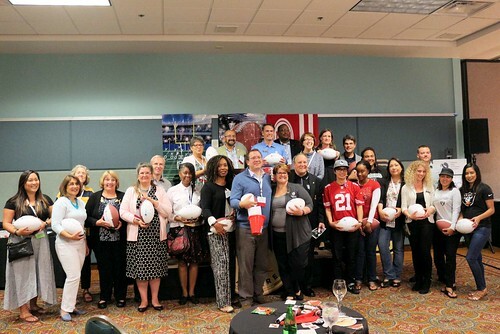 What an amazing job done by the members of the Annual Conference 2016 Committee, the Education Committee, and the standing committees who developed the program and events for our 88th Annual Conference held April 26 – 29 in Santa Clara. More than 300+ volunteers, including speakers, make our Annual Conference possible. A special thanks to AC 16 Co-Chairs Greg Chung and Julie Taylor. Innovation Learning Center held in the exhibit hall with sessions on collection system technologies, pumps & energy efficiency, advanced treatment technologies, water technology panel, and an onsite reuse panel. A sold out Senior Leader luncheon, held in the Innovation Learning Center in the Exhibit Hall, featuring personal connection time with the opening general session keynote speakers. More than 30 CWEA State award winners were recognized and a new Select Society of Sanitary Sludge Shovelers (5S) were installed. The complete list of winners of CWEA and WEF awards given at CWEA’s April 2016 Annual Conference, including new 5S inductees, is here. If you missed it or want a refresh…AC 16 proceedings will be available at www.cwea.org by July 1st. Check out the photos from the event by CWEA Annual Conference Photographers, Ralph Palomares, Ddaze Phuong & Kent McIntosh. Did you attend this year’s conference? Let us know how your experience was in the comments below. See you in Palm Springs, April 25-28, 2017!